At the beginning of the year one tends to look into the future optimistically. Surely there are many reasons for doing so. Is the status of the market for pre-owned jets in Europe one of them? An owned aircraft ensures the highest possible level of security, as the owner always has full and complete control over who has access to the aircraft. Having the same crew for all flights means that even the slightest irregularities of any kind whatsoever don’t go unnoticed. In times of increasing threats of attacks with a terrorist background or hijacking, the purchase of a private jet is an investment not only in comfort and time savings, but also one into enhanced personal security. Europe-based buyers tend to understand and appreciate the advantages offered by a pre-owned versus a factory-new aircraft. Let’s have a look at an aircraft that’s around 5 years old. The bulk of the depreciation already has taken place and the amount of capital required to purchase is remarkably less compared with buying new. The importance of an attractive price for what you get (or in a more casual way of describing it “the bang for the buck”) is perceived to be higher in Europe than in other regions of the world where prestige sometimes is still ranking higher than rationality. There currently are a few very attractive offers available for buyers who can act quickly. It needs to be noted that in such cases time is indeed of the essence as more often than not these opportunities are only out for a few days before an educated buyer picks it up. The pending Brexit, the trade war between China and the USA and the ongoing protests of the „gilets jaunes“ in France are only a few of the subjects causing a lot of uncertainty how things will develop in the course of the next 6 – 12 months. Uncertainty however is a big hurdle for investments. Buying an aircraft is definitely an important investment and thus depending on the investor’s expectations about the future development and with what probability it can be estimated that these expectations will become reality. One of the huge advantages of owning an aircraft is that the owner can set the departure time in a way that it matches exactly his very requirements. Unfortunately it has to be noted that access to several airports in Europe gets more and more restrictive for business aircraft. At popular destinations it can be hard if not impossible to get airport slots during peak times. Losing this flexibility means losing one strong argument why to own a private jet. Even though we wrote that there are currently some very attractive aircraft for sale it also has to be mentioned that – generally speaking – it became more of a challenge in the course of the last year to find an aircraft that ticks all the prospects’ boxes. We consider it thus even more important to have an experienced and qualified partner at your side when considering a private aircraft purchase. It is however undisputed that the framework is complex and that wrong decisions in such an environment can easily have hefty consequences. 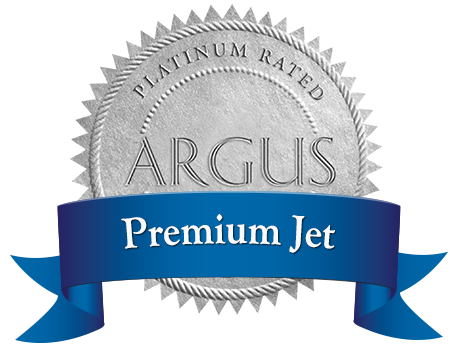 We at Premium Jet will use all our efforts to ensure that 2019 will be a good year for you – regardless if you consider to buy or to sell an aircraft. Based on our years of experience and our global network we would be delighted to become your partner of choice. Don’t hesitate to contact us – we’re looking forward to hearing from you.